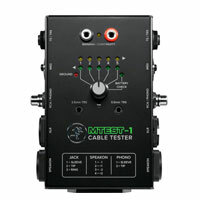 HOSA Beatport Balanced Interconnect, REAN 1/4 in TRS to Same Beatport DJ Series Balanced 1/4 inch Interconnects are used to connect the output of audio interfaces and select DJ mixers to studio monitors. 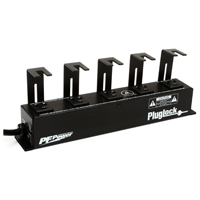 They are strong but flexible enough to conveniently work in and around a DJ rig. Their unique color allows for easy identification during setup and teardown. 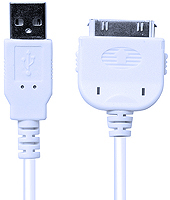 This 5-foot dual ï¿½" male to dual RCA male cable was designed with the professional in mind. 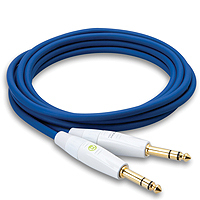 Our cables deliver premium performance without noise, static, or buzzing. 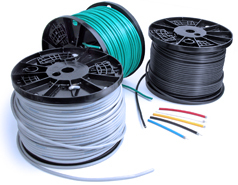 Pyle Pro cables are durable and come with a one-year warranty. 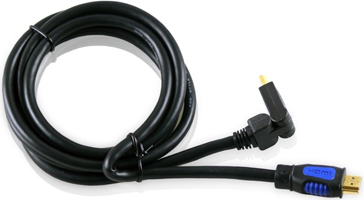 This 5-foot dual XLR female to dual RCA male cable was designed with the professional in mind. 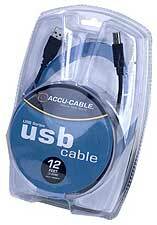 Our cables deliver premium performance without noise, static, or buzzing. 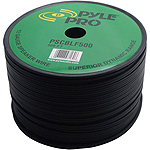 Pyle Pro cables are durable and come with a one-year warranty. 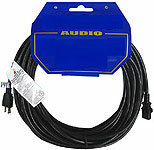 Right-angle 8-pin DIN to same, compatible with most DJ CD players - 3ft. 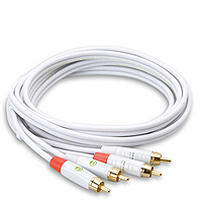 Right-angle 8-pin DIN to same, compatible with most DJ CD players - 10ft. 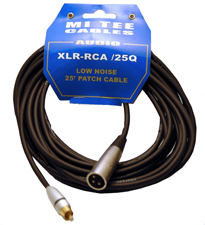 Microphone cable XLR(F) - XLR(M), 20ft. 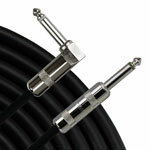 Microphone cable XLR(F) - XLR(M), 50ft. 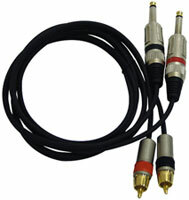 Microphone cable XLR(F) - XLR(M), 100ft. 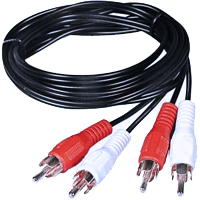 Ten Pack of 10 Foot 3 Pin DMX Cable - VALUE PACK! 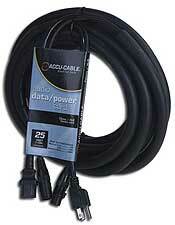 Ten Pack of 25 Foot 3 Pin DMX Cable - VALUE PACK! 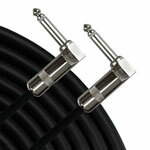 Ten Pack of 50 Foot 3 Pin DMX Cable - VALUE PACK! 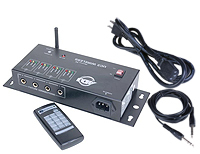 This wireless pack has 4 outputs with the capability to control 4 master fixtures and an infinite number of slave fixtures. 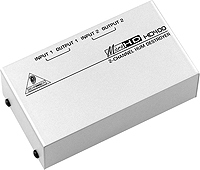 The WiTech 8 is compact and light weight, and can be mounted on truss, lighting stands, walls or ceilings. 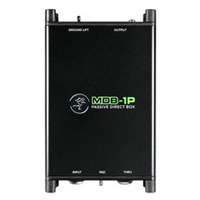 Works with up to 1000 EWDMX R-Receivers, Up to 16 Universes (Transmitters), Range up to 3000 ft.
For use on the last DMX device in the chain for proper termination. 12 XLR Sends - 4 XLR Returns, 50ft. 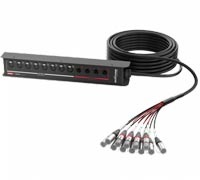 16 XLR Sends - 4 XLR Returns,50ft. BEST SELLER! 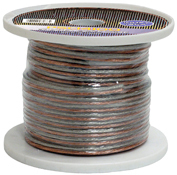 24 XLR Sends - 4 XLR Returns, 100ft. 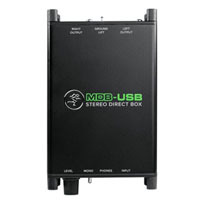 50' Stage Box; 8 XLR female out; 4 XLR male returns. Built-in easy carry handle and black nylon bag included. 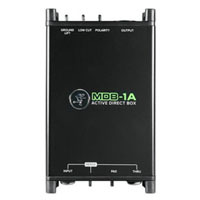 100' Stage Box; 8 XLR female out; 4 XLR male returns. Built-in easy carry handle and black nylon bag included. 50' Stage Box; 12 XLR female out; 4 XLR male returns. Built-in easy carry handle and black nylong bag included. 100' Stage Box; 12 XLR female out; 4 XLR male returns. Built-in easy carry handle and black nylong bag included. 50' Stage Box; 16 XLR female out; 4 XLR male returns. Built-in easy carry handle and black nylong bag included. 100' Stage Box; 16 XLR female out; 4 XLR male returns. Built-in easy carry handle and black nylong bag included. 50' Stage Box; 20 XLR female out; 4 XLR male returns. Built-in easy carry handle and black nylong bag included. 100' Stage Box; 20 XLR female out; 4 XLR male returns. Built-in easy carry handle and black nylong bag included. 50' Stage Box; 24 XLR female out; 4 XLR male returns. Built-in easy carry handle and black nylong bag included. 100' Stage Box; 24 XLR female out; 4 XLR male returns. Built-in easy carry handle and black nylong bag included. Peavey PV Series Snakes All metal chassis, Soldered connectors, Color-coded returns for easy identification. Perfect for commercial, club applications & custom installations. 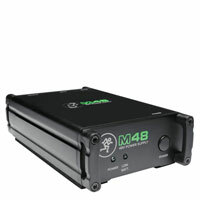 Chauvet's EST-10 is a 33ft. 1/4" to 1/4" Mono Cable used for linking. 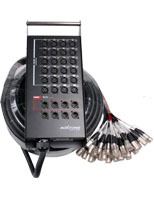 This 9-pin lighting extension cable gives you 25 more feet to work with and is made to work in conjunction with Chauvet's SF-9005 Timer Controller and SR-8 Relay packs. 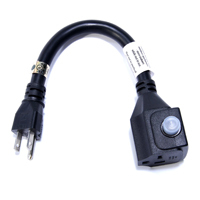 This 33' foot fogger controller cable connects foggers to DMX-6 DMX-40 DMX-50 SF-8005 and SF-9005 controllers. 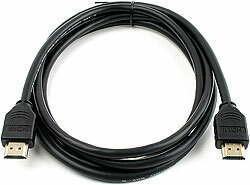 66' linkable DIN cable for linking PAR 38 and/or PAR 56 lighting systems. 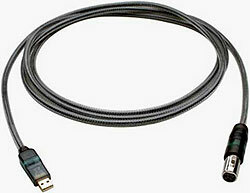 XLR - USB Just what is needed to hook most any DJ gear up to your laptop! 3ft, Black, 1.4 compliant - Great for 3D! 6ft, Black, 1.4 compliant - Great for 3D! 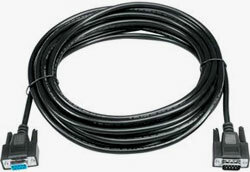 10ft, Black, 1.4 compliant - Great for 3D! Perfect for powered speakers! 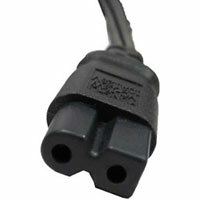 This high quality IEC cord can be used to power many different types of electronic equipment including instrument amplifiers, professional audio equipment, computers and more. 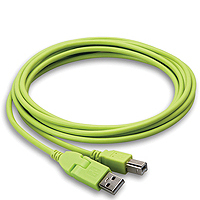 6.6 feet Extra Long Cord!! Technological advances have a direct effect on the process of audio design. 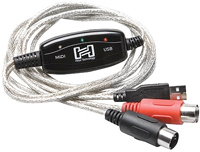 Simply plug the MIDI connectors into your device and the USB connector into your computer and play you’ll be tracking in no time! 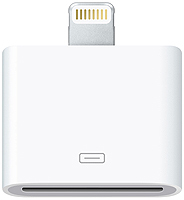 The Lightning-to-30-pin adapter lets buyers of the new iDevices connect to their existing accessories and components. The Hosa Beatport 4-Port USB 2.0 Hub allows you to connect multiple devices such as external hard drives and DJ controllers to a single computer USB port. 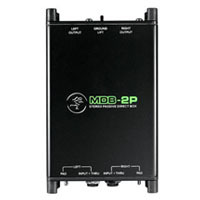 3-Mode Multi-Functional 48-Point Balanced Patchbay, Professional and fully balanced patchbay eliminates cable clutter in your studio, adding order and clarity. 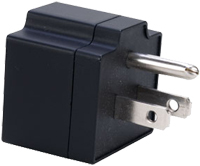 If you have quarter cables that you need to convert to a speakon, just plug this at the end of your quarter inch cable and it will adapt to your speakon input. These are premium banana plugs, great for converting any speaker wire to the standard banana input that is common on most pro amps. 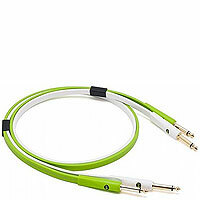 This cable is great for splitting mixer signals for two amplifiers or two powered speakers. 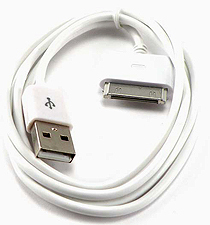 USB Travel Charger Charges all MP3/MP4 Players and Phones with dock connector, USB 2.0 Cable can sync MP3/MP4 and Phone with computer. Don't panic in case of any shortage of cables. Just let us know your need and we'll provide it with amazing deals. 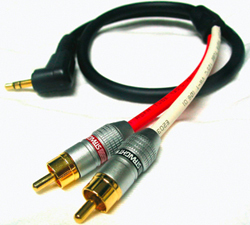 We have 1/4" ends cable, 1/4 ï¿½Neutrik, Banana-Neutrik, Speakon ends cable, RCA-1/4", 1/4"-XLR, USB ends cable and many more, including iPod cables, Microphone Snakes, Power cords, Video Cables, Extension Cables and Light Cables. Click BUY and save money with surprising deals. Nady CT-6 6 Way Cable Tester, which tests 1/4" TRS, balanced XLR (male and female), RCA, banana plug, Speakon, and 5-pin Mini-DIN cables is also available at a great price. Multi-color LED confirms continuity of each conductor. 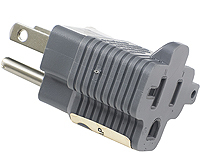 A 6-way switch selects connector type to test. 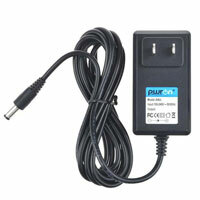 Internal battery and ground connection status are also checked.